MWC 2019 is just around the corner, and just like clockwork, rumours and leaks pertaining to smartphones are now popping up more frequently. 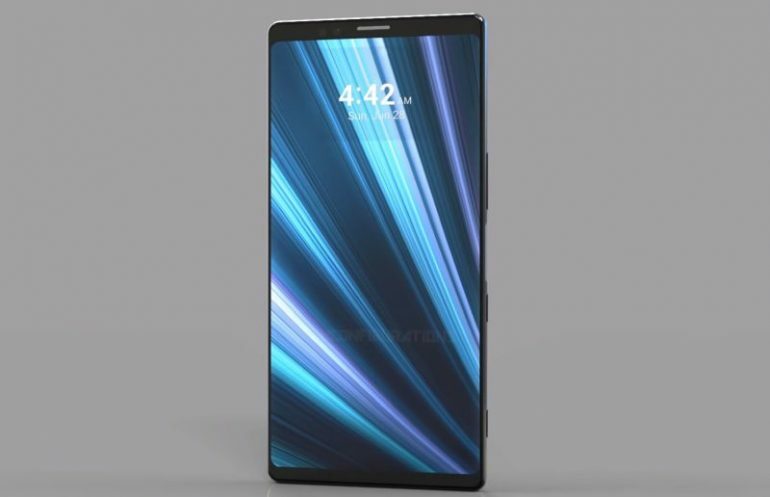 In the case of the yet-to-be-released Sony Xperia XZ4, a concept render video of the phone has appeared online. The video render was uploaded on YouTube by serial “render specialist” TechConfigurations. In it, the renders show what the specialist believes might possibly be the final outlook of Sony’s next generation flagship smartphone. Based on whatever information has been released about the phone to-date. On that note, the phone video render does seem to include most of the features that we’ve reported before. For a start, there’s the rumoured triple main camera setup that’s built into the back of the phone. Additionally, there’s also near bezel-less display that was leaked by another serial leakster. However, the thin, flat slate design of the phone could just be wishful thinking, considering that Sony’s current Xperia XZ2 series and XZ3 device all feature a thicker, rounded back design. On that note, the video render shows that the phone’s fingerprint sensor is back on the side again. It’s a feature placement we’d like to reinstated, but at the same time, we can’t help but wonder what purpose the button right next to it serves. Once again, the video render is based purely on all currently available information of the phone. That means that any official announcement made by Sony from now until its actual release date will render (no pun intended) this video concept obsolete. Until then, we do advise that you view this video with a liberal serving of salt.